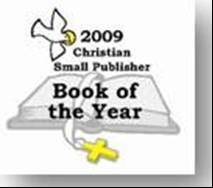 Specializing in quality limited edition non-fiction publications. having 416 pages with numerous illustrations. 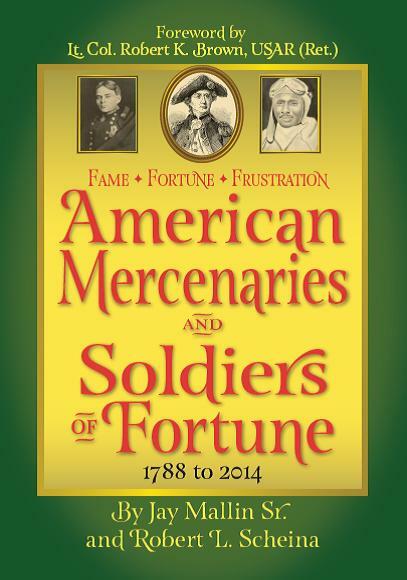 FAME * FORTUNE * FRUSTRATION is the first book of its kind – a comprehensive encyclopedia of American citizens who fought independently for or against foreign governments through more than 200 years of American history. These actions took place in almost every decade of American history and on almost every continent and in over 25 nations. They included lone wolves (John Paul Jones), family affairs (the Porter Clan), and massive involvement (the Lincoln Brigade in the Spanish Civil War). They fought in the jungle (William Walker in Nicaragua), the desert (the Escadrille de la Guarde Cherifienne in Morocco), and in the snow (Russo-Finnish War). Motivated by a mixture of profit, adventure, and patriotism, each was acting on his own without official approval of the American government. Also distributed by Ingram, New Leaf Distributing, YBP Library Services, and Baker & Taylor. having approximately 352 pages with photos. 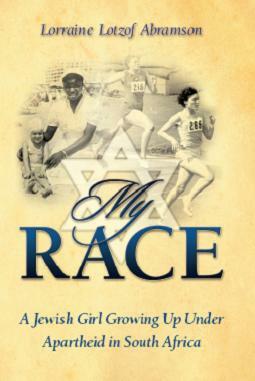 MY RACE is the memoir of a gifted Jewish athlete growing up under the apartheid system of South Africa. Lorraine Lotzof Abramson shares her unique vantage point on the apartheid experience. She provides a first-hand account of her growing unease with the system of social inequality that simul-taneously excluded her and celebrated her. Lorraine’s grandparents left Eastern Europe to escape oppression, only to find themselves in another oppressive society. This time, they were on the same side as the oppressors, by virtue of their white skin. How they lived in that society and dealt with this situation, is part of her story. Lorraine shares her ambitions, her achievements, her losses, and her family ties. Along the way, she learns that the real race — the marathon that is a long and eventful human life — is a journey towards compassion. by Gerald G. Polesky, Ph.D.
Hardcover with dust jacket. 5.5" x 8.5", having approximately 280 pages. In the present turbulent economy, organizations and their leadership must develop new ways to strengthen their business positions. This book lays out a path to enable businesses to overcome today’s monumental hurdles. 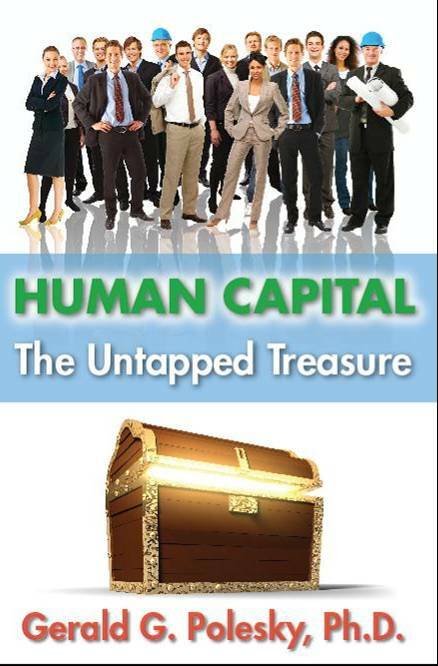 It shows that the key to returning to business prosperity is the most under utilized resource available to us – Human Capital. It further shows how companies can increase employee productivity and morale by leveraging and effectively utilizing human assets. by Isabel Washington Powell with Joyce Burnett. Hardcover with dust jacket. 5.5" x 8.5", having approximately 200 pages with 16 pages of photos. 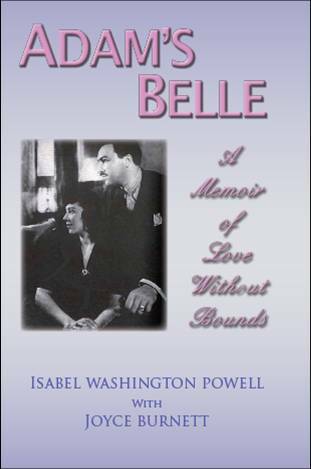 The memoir of Isabel Washington Powell - the first wife of Adam Clayton Powell, Jr. Despite his human weaknesses and her own broken heart, Isabel loved Adam until she took her very last breath. This story is a powerful journey from love to forgiveness and back. Publication date: June 15, 2008.
by COL William A. Boik, USAR, Ret. Hardcover with dust jacket. 11" x 8.5", having 120 pages illustrated with over 300 color photos showing all North Korean awards. 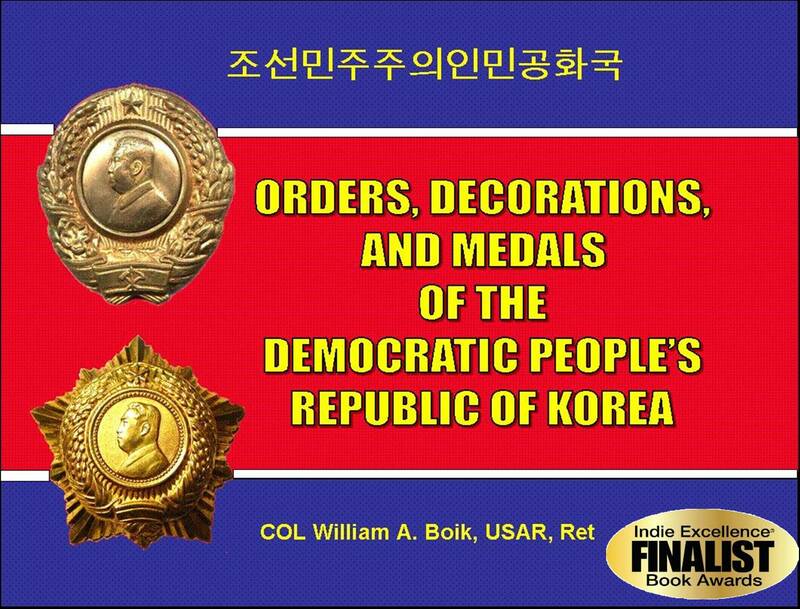 This is the first detailed color study of North Korean orders, decorations, and medals. It has over 300 color pictures of North Korean orders and medals. There are also pictures illustrating variations of each award, the award certificates and cases. Also Also available through Amazon and YBP Library Services. Order from: DBM Press, LC, 6412 Brandon Ave, #123, Springfield, VA 22150. $7.95 for 5-10 copies, $14.50 for 11-40 copies, and $19.50 for over 41 copies.